According to my records, which I store in a meticulously organized and heavily guarded 52-inch filing cabinet, I have not authored a bouillabaisse blog post since January 6th. Three weeks have since passed and, thus, it is time for another one. But this will not just be any bouillabaisse, mind you. This is an anniversary logo bouillabaisse. My bouillabaisses have subcategories now. I have evolved. ‘Tis the season for anniversary logos, after all, a subset of the logo world in which there is always a strong undercurrent of ambiguity. Some teams commemorate their anniversary beginning with the year in which they began, while others start counting once a year has passed (in the way that us, mere mortals, celebrate our birthdays). The Lake Elsinore are taking the latter approach with their California-Carolina League All-Star logo, which scelebrates the 75th anniversary of the Cal League (1941). Those in the know know that 2016 also marks the 20th anniversary of the game itself (1996). The California-Carolina League All-Star Game gets to have its cake and eat it too on the 20th anniversary front. Not only has it been 20 years since the game was first played, but this will also be its 20th iteration (for reasons lost to the mists of time, it was not played in 1997). Furthermore! The diamond in the logo not only represents the Cal League’s “Diamond” anniversary, but it also references the fact that the game will be played at Lake Elsinore’s The Diamond. The Rochester Red Wings’ home of Frontier Field first hosted the team in 1997, making 2016 their 20th season in the facility. Thus, the release of this logo. If I was to offer a criticism of this logo, which I suppose I am: It’s a little busy. Maybe “20 seasons at Frontier Field” doesn’t need to be in the basepaths? Isn’t that implied? While Frontier Field first hosted the Red Wings in 1997, the facility opened in the summer of 1996 with — you guessed it — a Beach Boys concert. Way back in December, when it was still 2015, the Reading Fightin Phils unveiled a logo celebrating their upcoming 50th season as a Philadelphia Phillies affiliate (the longest affiliation in Minor League Baseball). The above logo was designed by Brandiose and R-Fightin Phils executive director of graphic arts and game entertainment Matt Jackson. Jackon’s job title is already too long, but if it was to truly encompass his range of skills it would be “executive director of graphic arts and game entertainment and Crazy Hot Dog Vendor” Matt Jackson. 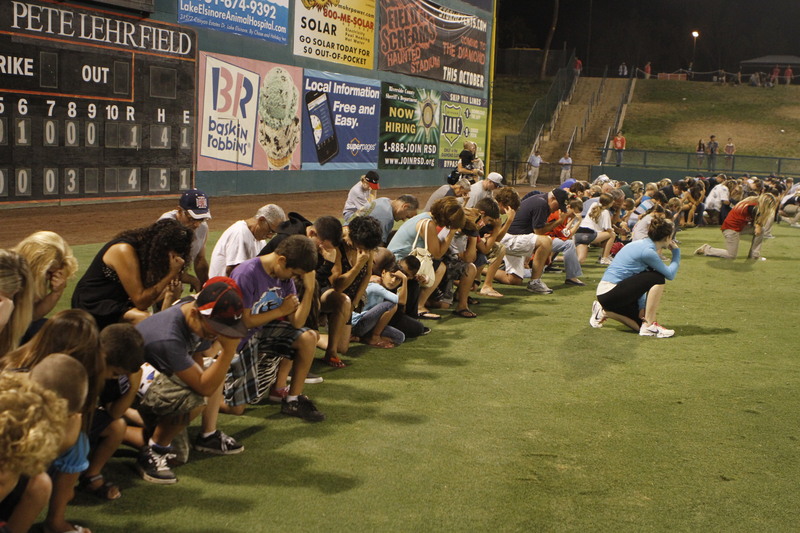 The Visalia Rawhide are entering their 71st season as a franchise. But it is their 70th anniversary as a Visalia entity. Thus, this pastoral logo. In conjunction with this 70th anniversary, the Rawhide are “asking people to share their favorite memories from the last seven decades of Visalia professional baseball.” Those who do so will be entered to win a trip to the California-Carolina League All-Star Game. As you may remember, that game — the 20th to be played in the past 21 seasons — is being hosted by the Lake Elsinore Storm. And thus, we have come full circle. My work here is done. 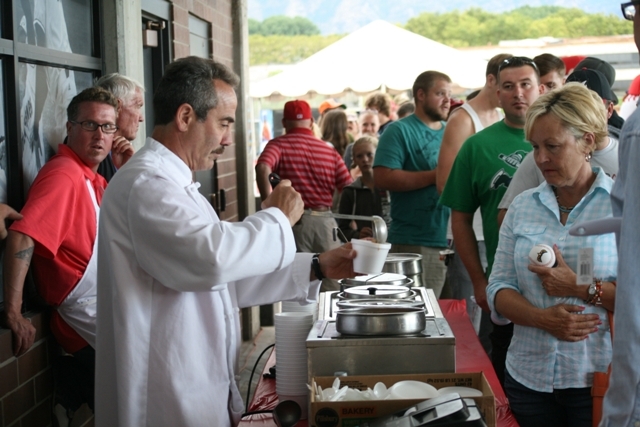 During the 2012 season, the Orem Owlz became the first Minor League team to welcome Larry “Soup Nazi” Thomas to the ballpark for a promotional appearance. 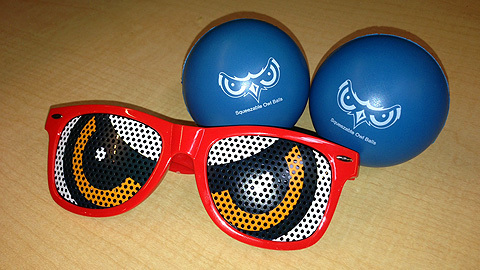 Then, the following season, the Owlz gave away 5000 pairs of team-logo sunglasses as part of a “most people wearing sunglasses at night” world record attempt. (The blue balls were part of a different promotion. Please ignore the blue balls). 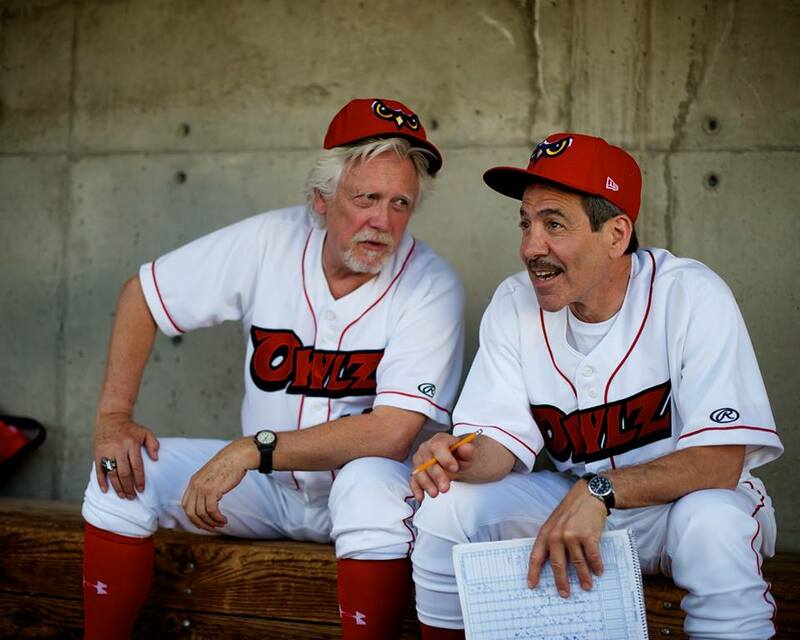 108 Stitches is a low-budget baseball comedy, executive produced by Owlz owner Jeff Katofsky and produced and co-written by his son, Jake. A raunchy and ramshackle underdog sports comedy (think Major League or Animal House), 108 Stitches involves the exploits of a fictional Orem-based collegiate baseball team. 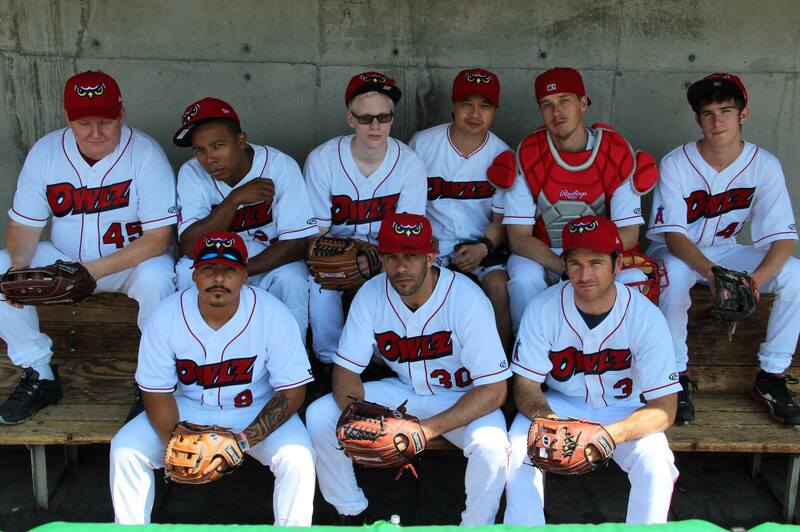 The players wear the uniforms of the real-life Orem Owlz (Class A Short Season affiliate of the Los Angeles Angels), and the baseball scenes are shot at the so-called “Home of the Owlz,” located on the campus of Utah Valley University. The Owlz are not what they seem. The above fictional squad is coached by one Scott Deshields (esteemed character actor Bruce Davison); meanwhile, assistant coach Kassem Bosco is played by — wait for it — Larry “Soup Nazi” Thomas. So that’s why he was in Orem in the first place! 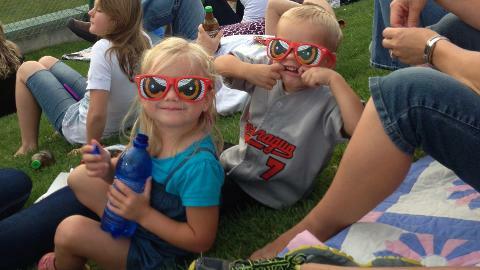 Then, later in the film, the Owlz’ “most people wearing sunglasses at night” record attempt is incorporated into the plot. It’s life meets art, or something like that. The movie also features cameos from Owlz mascots Hootz and Holly, but unfortunately does not reference Holly’s 2012 pregnancy announcement. If you’re interested in checking out the film, it it available for streaming via virtually every streaming platform known to man. Click HERE. If you are desirous of even more Minor League “cinema,” then click HERE to see Lake Elsinore Storm mascot Thunder riding a dirtbike. 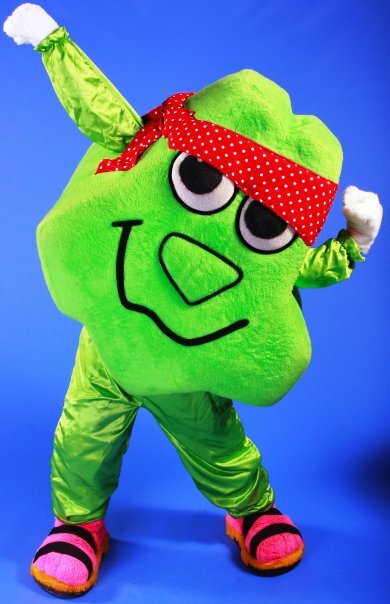 Or, hey, how about this: Fresno Grizzlies mascot Parker provides the mascot perspective on a hot-button social issue. Or if lip-syncing front-office members are more your thing, then how about this video courtesy of the Tulsa Drillers? In the Academy Awards of my mind, which take place biannually for some reason, these are all statuette-worthy efforts. In all likelihood you haven’t yet digested — or even been aware of the existence of — yesterday’s full-to-bursting bouillabaisse post. But that’s not gonna stop me from delivering yet another heaping hodgepodge of worthwhile Minor League Baseball news, because that’s just the kind of guy I am: the kind of guy who cannot be stopped, or even contained, really. Lil B’s got nothing on me, for I am the #BouillabaissedGod! For more on the World’s Fastest Squirrel and the surreal world from which he emerged, kindly read my 2012 “Minoring in Business” article. Another example of Minor League Baseball mascots in big-time roles can be found in “What the Phanatic Say?,” which features an impressive collection of Phillies-affiliated characters. The above video, a parody of “What Does the Fox Say?”, is not to be confused with other such spoofs. THIS, for example, explains the fundamental tenets of Quakerism. The Indianapolis Colts may have been eliminated from the playoffs, but that’s not going to stop me from sharing a video that was made before the postseason begun. This Christmas, Indianapolis Indians stalwart Matt Hague offered valuable sliding tutelage to his next door stadium neighbor Andrew Luck. Hilarity, or perhaps something bearing no small resemblance to hilarity, ensued. If it’s outdated Indianapolis Indians comedic holiday content that you want, then it’s outdated Indianapolis Indians comedic holiday content that I’ve got! And, let’s be honest here, if something’s funny then it has no expiration date. That’s my excuse for providing yet another piece of comedic holiday video content, this time courtesy of my old pals the Altoona Curve. Get psyched for The Pockster! The “Pockster” is a parody of Conan O’Brien’s “Rublight” ad, which you absolutely must watch. There is no person who won’t find it funny. Or, if there is, I don’t want to know that person. And if I do know that person, then all ties are renounced effective immediately. When it comes to Minor League Baseball blogging, I am the greatest of all time. But when it comes to the grapest Minor League entity of all time? That honor now belongs to the Reading Fightin Phils, whose mascot and star player competed against one another in a local grape-stomping competition because of course they did. I’ve shared a lot of stupid videos with you today, resulting in more wonton absurdity then a surrealist painting of a Chinese restaurant. But I’m going to close this post with a video that is thoughtful, tasteful, personal, and passionate. I like it a lot, this heartfelt musical plea to preserve the former home of the Eugene Emeralds. The fact that this song was written by one “Scoop McGuire” makes it that much better. Check out savecivicstadium.org for more info. Today I have two items of note for you, and they really couldn’t be any different in tone. On the serious end of the spectrum, the Mobile BayBears have announced that a seat at Hank Aaron stadium will remain permanently empty in honor of all American soldiers who never returned home. The BayBears will hold a ceremony to unveil the seat at the home opener, Wednesday, April 10 during the pre-game festivities. 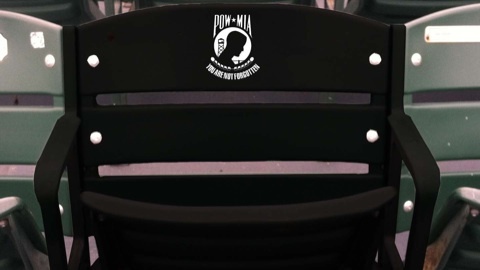 Active military and veterans will be in attendance to help dedicate the seat to the over 92,000 missing American soldiers. The BayBears will be installing the seat next week. The BayBears’ “Black Seat” initiative has garnered a lot of attention over the past 24 hours, thanks to a blog post on Yahoo’s Big League Stew blog that was then more or less re-written by a number of other outlets. There’s been an “every team ever should do this immediately if not sooner” tone to these posts, and it is almost certain that other teams will follow in the wake of the BayBears (and, moreso, the Lowell Spinners as they were the first team to do this). But such a gesture will seem profoundly empty unless it is accompanied by a season-long commitment to and engagement with the region’s military and veteran population. The BayBears, for instance, offer complimentary tickets for active duty personnel and will be staging promotions dedicated to each branch of the military throughout the season. And now, like a kid flipping through Mad Magazine until he sees a Dave Berg byline, we have reached the Lighter Side. 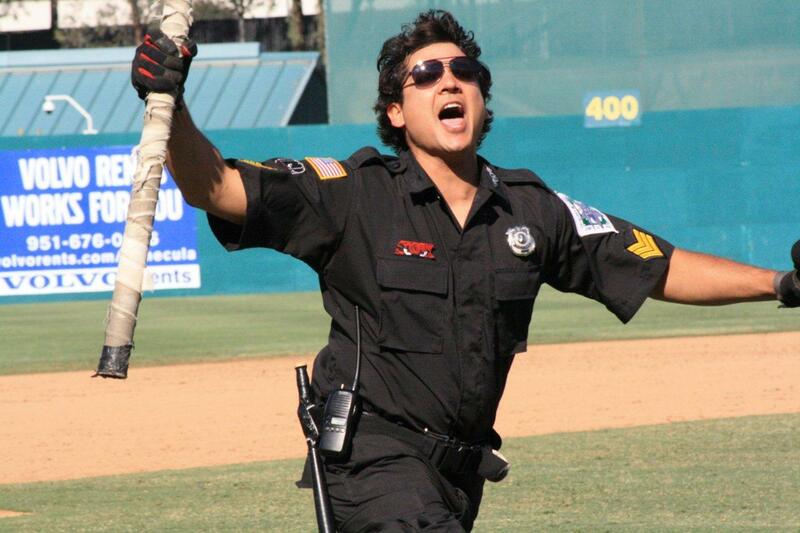 I’m just going to rely on the press release for this one, courtesy of the Lake Elsinore Storm. 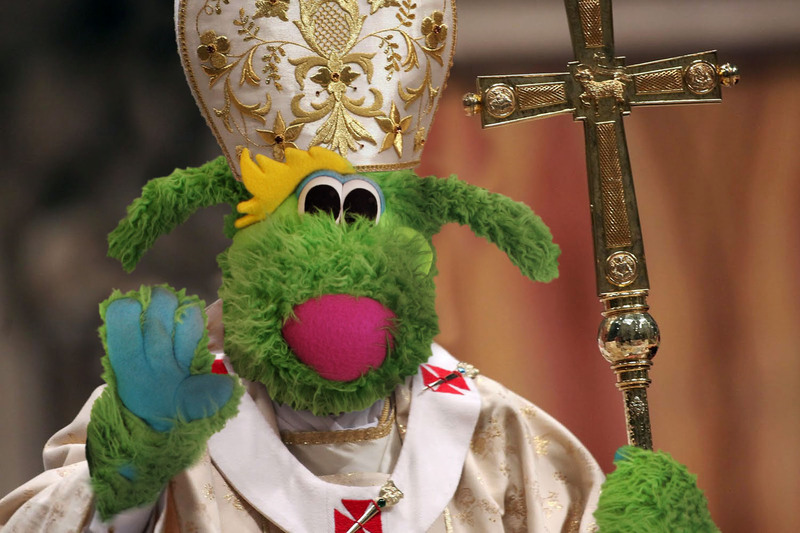 With the papal election process in full swing and a new Pope on the horizon, the Lake Elsinore Storm Professional Baseball Team feel they have the right candidate for the position. He may not be global just yet, but locally a lovable dog is revered by all. That’s right, man’s best friend, who may become God’s best friend, is throwing his bone, or hat, into the papal ring. Storm mascot, Thunder, with inspiration from the likes of Saint Peter, the Apostle, and the 264 Popes that followed, is willing to leave the luxuries of The Diamond behind for the right to serve others as the leader of the worldwide Catholic Church. There have been many recommendations on who should be the successor of Pope Benedict XVI….Thunder, though, has a leg, or two, up on the competition. 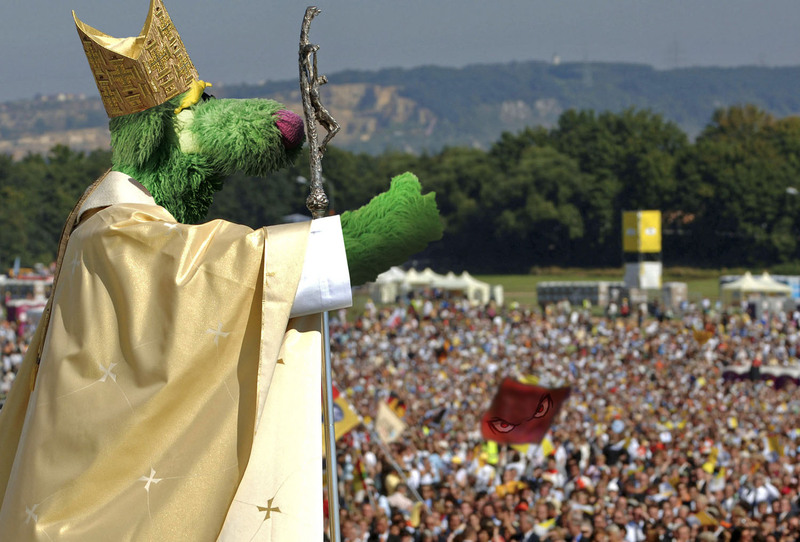 He would be the first green Pope, already has his own Thunder/Pope mobile and children of all ages love him. As well, Thunder has been sermonizing and leading others as a beacon of Storm spirit for nearly a decade on the team’s annual Night of Fellowship (scheduled for July 12 this season). Thunder’s youthful exuberance and connection with the younger generation should provide a groundswell of support through social media. His friends at @Storm_baseball have started a #Paws4Pope Twitter campaign that could go viral. The echoing sounds of “Thunder,Thunder” is a well known cheer throughout the Inland Empire, and Popefully the people of Vatican City will be chanting in Italian “Tuono, Tuono” for years to come. Now that I think about it, this blog post typifies Minor League Baseball: balancing the serious and the absurd on a season-to-season, month-to-month, homestand-to-homestand, game-to-game, inning-to-inning basis. A gorilla being pummeled with foam noodles before escaping over a 12-foot fence. … A 6-foot chicken racing across a vast expanse of grass alongside an equally oversized squirrel. … A pink rabbit emerging from a secret door, gyrating furiously before disappearing from whence he came. … A cup of ice cream dancing joyously alongside a banana, whose presence greatly excites the aforementioned gorilla. The above may sound like the disconnected fragments of a particularly surreal fever dream — and they very well could be. But “particularly surreal fever dream” also might be the best way to describe the between-innings entertainment at a Lake Elsinore Storm game, which includes all of the eccentric characters mentioned above and many, many more. 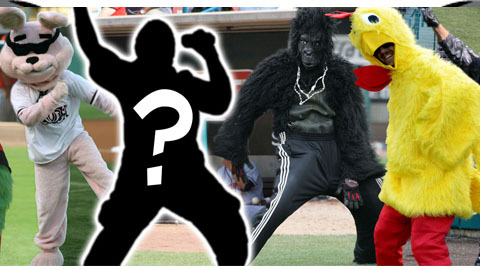 Do you have what it takes to join the likes of the Fastest Squirrel in the World and Grounds Crew Gorilla? Create a 30-second video of you as a character of your choice. Upload it to YouTube and send the link to promos@stormbaseball.com. We’re looking to be wowed, so aim for our faces. That “aim for our faces” remark is a reference to the team’s Rally Cop character, who was known for throwing his “softee balls to your face.” (Those are the team’s words, not mine). The team’s plea for performers is motivated at least in part by the sad fact that the Rally Cop is no longer. Storm staffer Robbie Gillett, the Rally Cop’s alter-ego, is no longer with the team. So long, Rally Cop — we hardly knew ye! The Storm aren’t the only team searching for new blood these days. The Lexington Legends currently have an opening in their front office, and one of the candidates has found a creative way to plead his case. 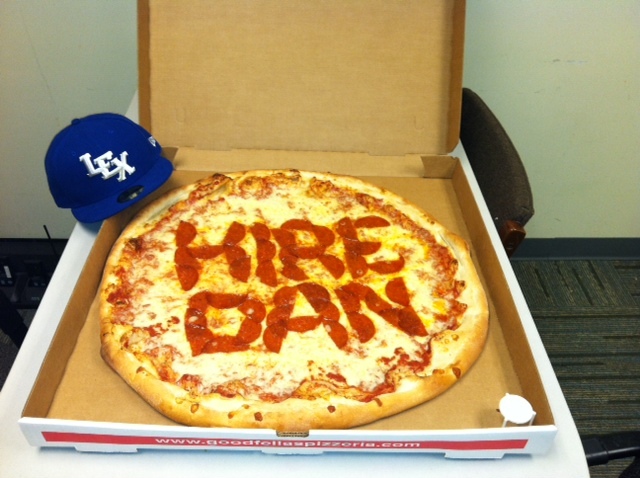 This bit of pizza-based advocacy made a strong impression with the Legends staff, with broadcaster Keith Elkins marveling that it’s “the first edible application that we’ve received.” Ty Cobb, the Legends’ director of creative services, wrote that Dan “will certainly receive full consideration” when it comes to which candidates the team decides to interview. My guess is that Dan has made himself the front-runner in the team’s employment sweepstakes, but who knows? Maybe another candidate will soon utilize a dessert-based medium as a means of self-promotion — that would really be the icing on the cake! There are few ironclad truisms here in the cutthroat world of Minor League Baseball blogging, but one of them is this: there’s never a bad time for a bouillabaisse! So here we go with just that — a collection of random ingredients that, once stirred together, combine to make for a hearty virtual meal. After hours and hours of not looking, let’s start with the biggest piece of news that I can find with no effort: for the first time ever, the results of the Goldklang Group’s bobblection (in which fans express their presidential preferences via bobblehead) did not correspond with the result in the subsequent election. 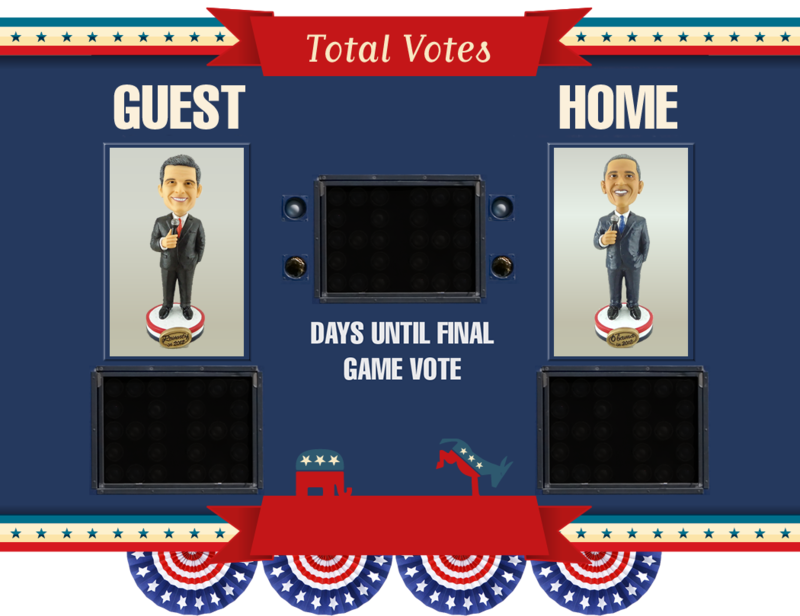 Romney won the 2012 “Bobblection” by a final tally of 6-4, but, as we all know, he was unable to acquire a similar margin of victory on Tuesday night. I, for one, am shocked — when the distribution of competing ceramic souvenirs at a Minor League Baseball game is unable to foretell the outcome of momentous national events then I think it’s time for all of us to take a long look in the mirror in order to determine what other of our deeply-held assumptions have turned out to be erroneous. Erroneous assumptions such as this one: mascots don’t have birth certificates. 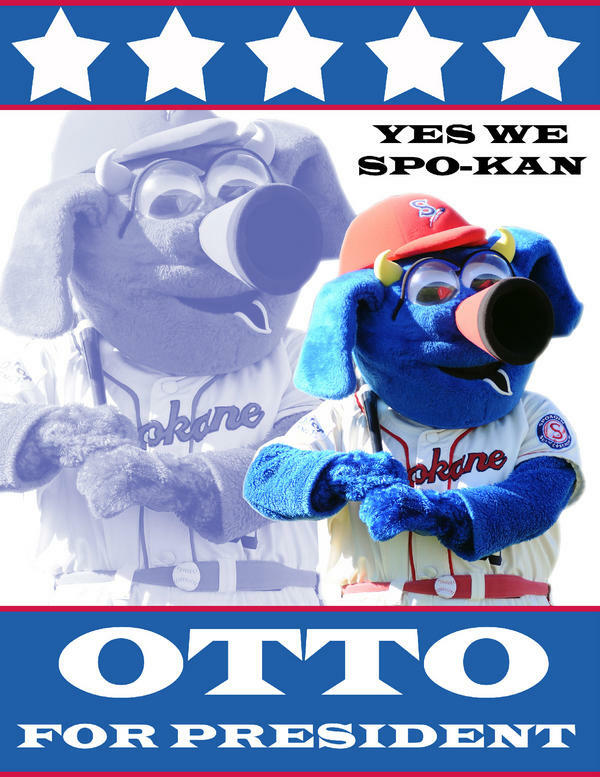 Upon seeing that Spokane Indians mascot Otto was running for president, I mentioned to the team via Twitter that his candidacy was invalid due to lack of proper documentation. The Indians hemmed and hawed around the issue, saying that the certificate had been “misplaced” amidst their ongoing stadium renovations. At first I was skeptical that such a certificate had ever existed, but these feelings were partially mitigated by a tweet I soon received from Lexington Legends’ promotions coordinator Lauren Shrader. 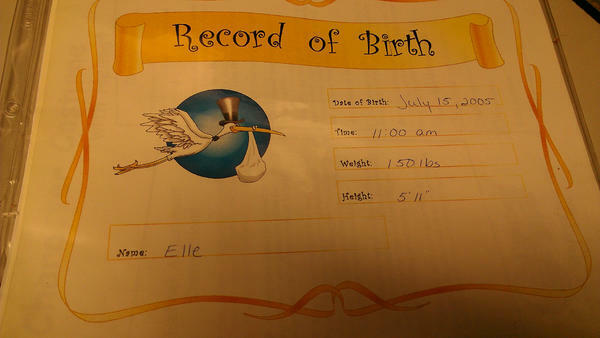 This tweet (which included the hashtag #theyarepeopletoo) featured photographic proof of mascot Big Elle.’s birth certificate (Big Elle, as you can see, weighed 150 pounds upon emergence from the womb). 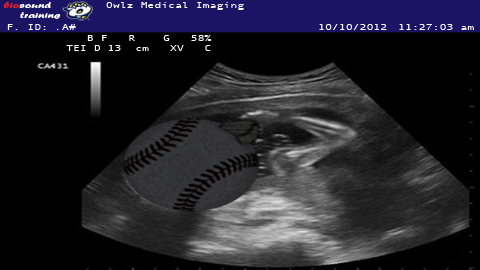 After a recent checkup at the doctor’s office, we are happy to report the baby and Holly are both healthy and the due date is on schedule for Opening Day! Hootz and Holly have decided to wait and find out if it’s a boy or a girl until after it is born. 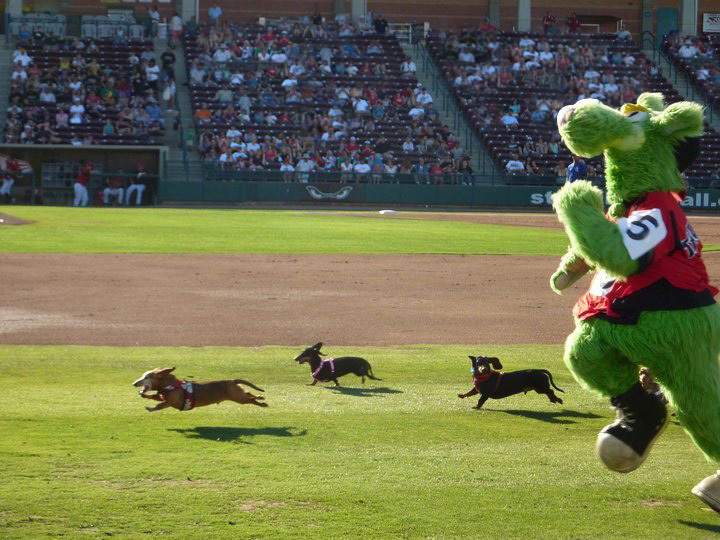 You have almost certainly read my recent MiLB piece on the Lake Elsinore Storm and their surreal stable of on-field costumed characters, as it was the talk of the internet for weeks on end. And, while you were reading said piece, I bet you said to yourself, “I wish that there were more surreal images accompanying this piece, so that I could fully bask in the surreality of it all.” And, furthermore, you probably then clicked on the photo gallery accompanying the article so that this urge could be satiated. But just in case none of the above very likely occurrences took place, I now present you with a quartet of my favorite Lake Elsinore mascot images. They are surreal! Thunder racing a trio of weiner dogs. 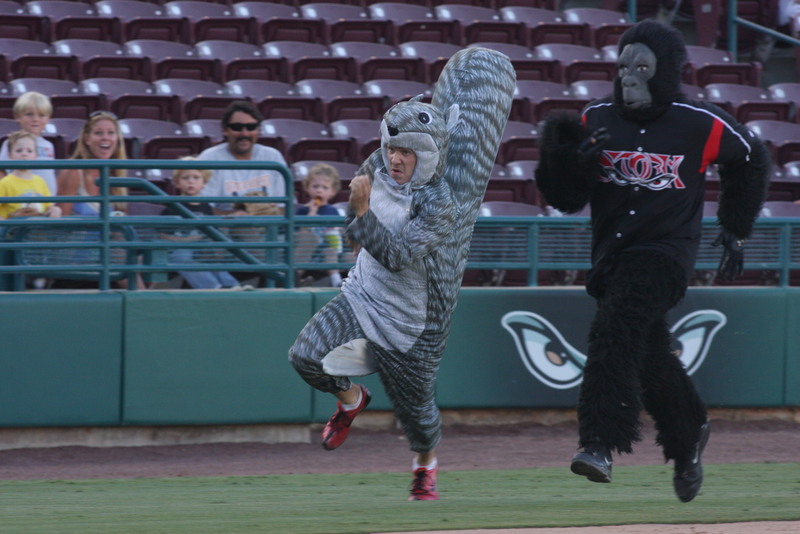 The Grounds Crew Gorilla loses a race to Ace the fastest squirrel in the world. What’s that in your pants, gorilla? What’s that in your pants? Professional baseball bullpens have long been breeding grounds for eccentric behavior and bizarre rituals and, really, this shouldn’t be a surprise. Leave a group of bored young men to their own devices and spitting contests, impenetrable slang words and, yes, even lizard eating will result. 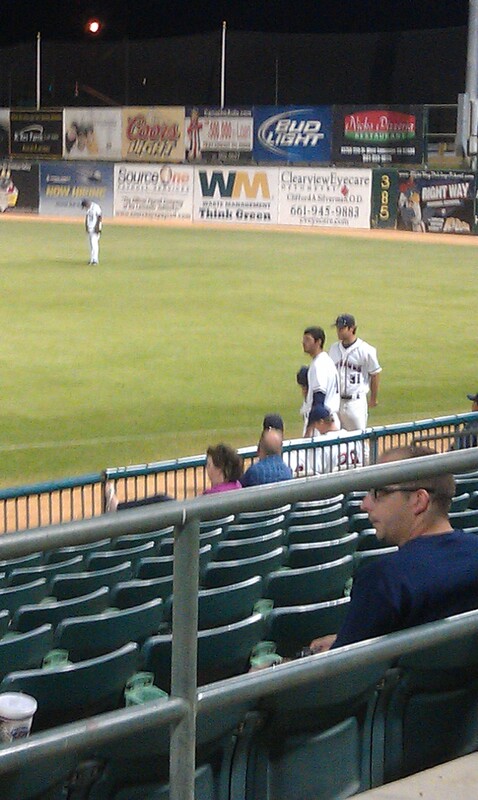 One particular bullpen competition that really seemed to take off this season was the in-game standing contest. The premise is simple: starting with the National Anthem, one (or more) players from each team’s bullpen attempts to stand at attention for the duration of the contest and beyond. This simultaneous exercise in endurance and absurdity was first brought to my attention via an excellent Myrtle Beach Pelicans blog post, and later in the season the Lowell Spinners produced a video that chronicled their standoff versus the State College Spikes. 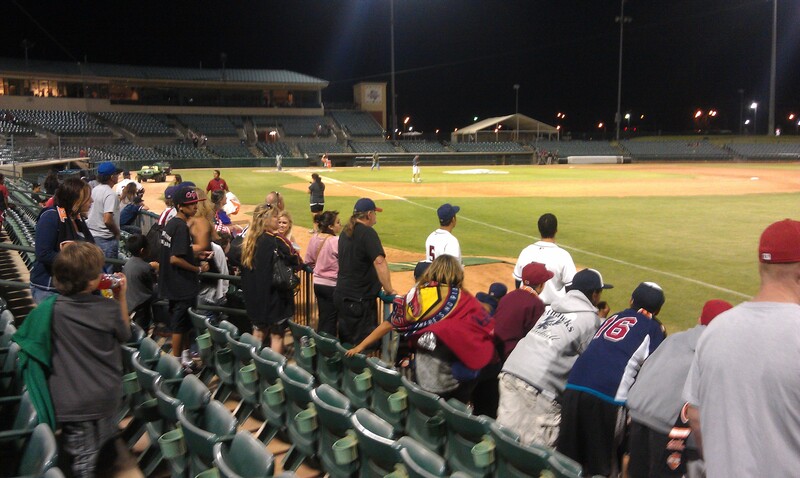 [F]ollowing the National Anthem last night nobody in either the JetHawks or Storm Bullpen sat down. After a couple innings we figured something was going on. 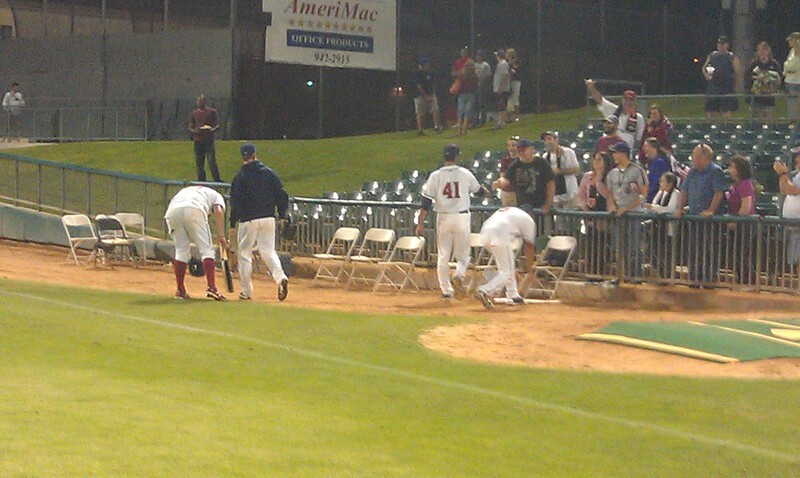 Eventually only one player remained standing in each bullpen and it lasted throughout the ENTIRE game. The Standoff continued 45 minutes after the game and both players were eventually carried out to center field where they negotiated a continuation….By the end of the game all of the fans sitting behind the JetHawks bullpen were standing as well, and when the game ended about 50 fans made their way to the bullpen and stood behind our pitcher. The last JetHawk standing was Zack Grimmett, who for reasons lost to the annals of time conceded the stand-off during the first inning of the following day’s ballgame. Also lost to time was the name of his Lake Elsinore adversary [this info has since been regained from the annals of time. It was Mark Pope] — this all happened back in August and who among us can remember what happened back in August? But to the extent that I can record this stand-off for posterity, I will. For while not necessarily of the best quality, some photos eventually emerged and I feel that it is my duty to share them with you. Italicized text is of the descriptive variety, and courtesy of JetHawks sales executive Jenn Adamczyk. [I] first noticed stand-off while waiting for the [mascot] race to start. 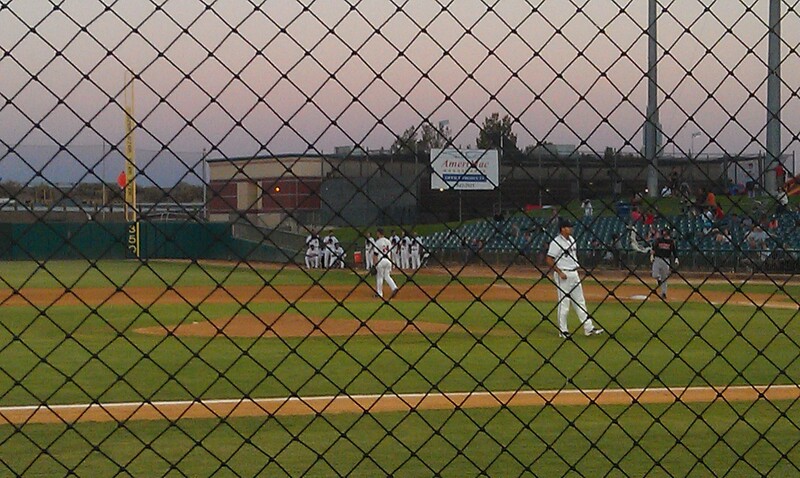 All but one or two in the JetHawks bullpen were standing. The Storm had one guy still up. 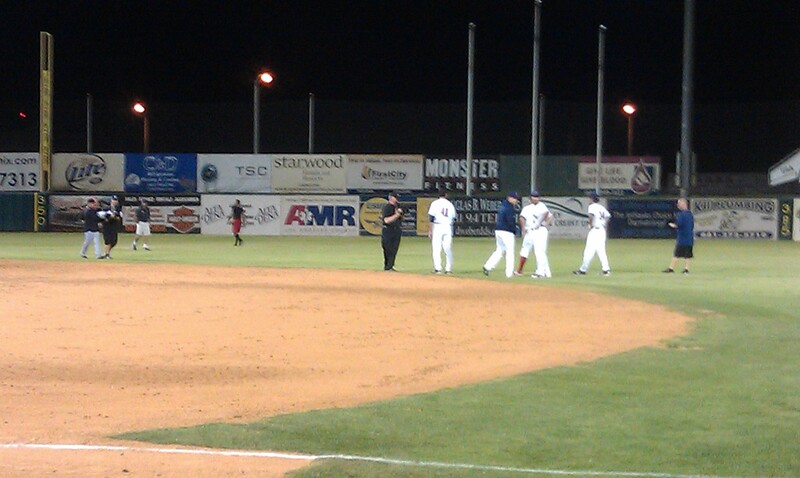 Teammates carry both players from the bullpens to center field. At this point the clubbies from both teams brought the players dinner and were feeding them. End of the stand-off, called a truce. Both went home. Truly, this was a classic moment in California League history. And since I’m still sitting here typing, I may as well take this opportunity to highlight my own moment in baseball stand-off history. 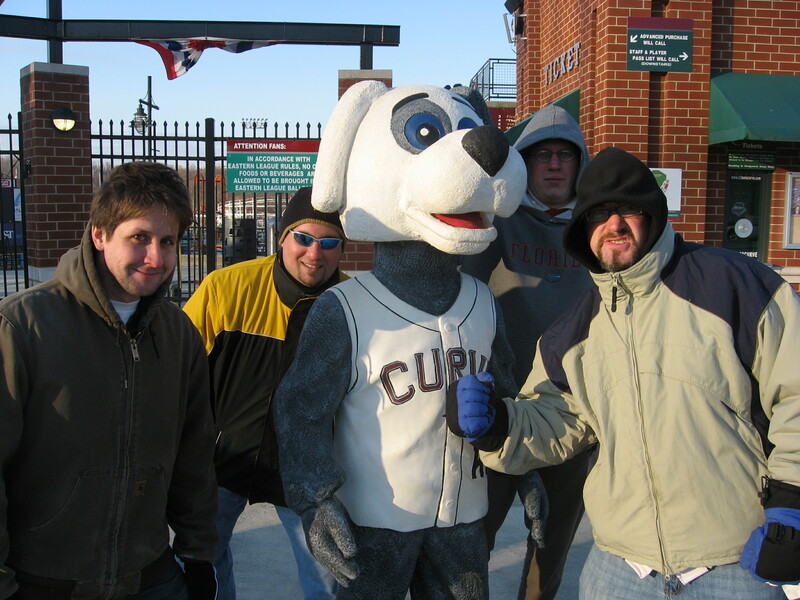 Prior to the 2009 season, I traveled to Altoona and took past in the Curve’s “Last Fan Standing” competition. My mission was to keep one hand upon Diesel Dawg at all times. I lasted 14 hours — good, but not nearly good enough. Story of my life. As you probably have noticed, the vast majority of content here on the blog in recent weeks has been “On the Road”-related. And, well, there’s going to be plenty more where that came from. Local trips will continue to the extent that time allows, but, also, in addition to that, I’ve got one more blockbuster to share. 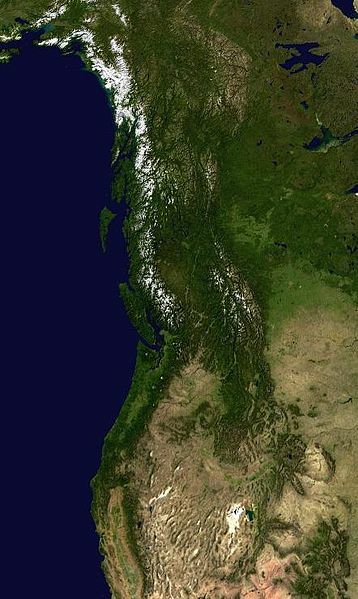 Pacific Northwest, here I come! And, the piece de resistance — Ben’s Biz is going international! I am happy to report that I will be observing Julio Franco’s 54th birthday in Canada! Beyond that, you know the drill: should you have any recommendations regarding where to eat and what to visit while I’m in the area, then please get in touch via the comments, email, or Twitter. These recommendations have been absolutely crucial on past trips, and I’m sure that this time around will be no different. Also, keep in mind that this will be the first larger-scale trip in which I am following a gluten-free diet. 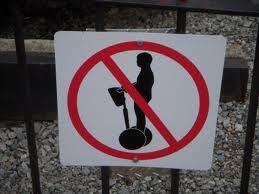 Therefore, “designated eaters” would be appreciated at each stop. If you think that this is a role (eating the ballpark delicacies that I cannot) that you can fulfill at any stop along the way then, please, get in touch. Meanwhile, I have two months of backlogged blog material to get to. I no longer stress out about such backlogs (as part of my longer-term strategy to prioritize permanence over the ephemeral), but nonetheless I might as well get to some of it now. How about this awesome Lowell Spinners commercial, which immortalizes a Spinners-ValleyCats batboy battle that took place at a game I was in attendance for last month? We’ve had so much rain that we got a little creative this past week. 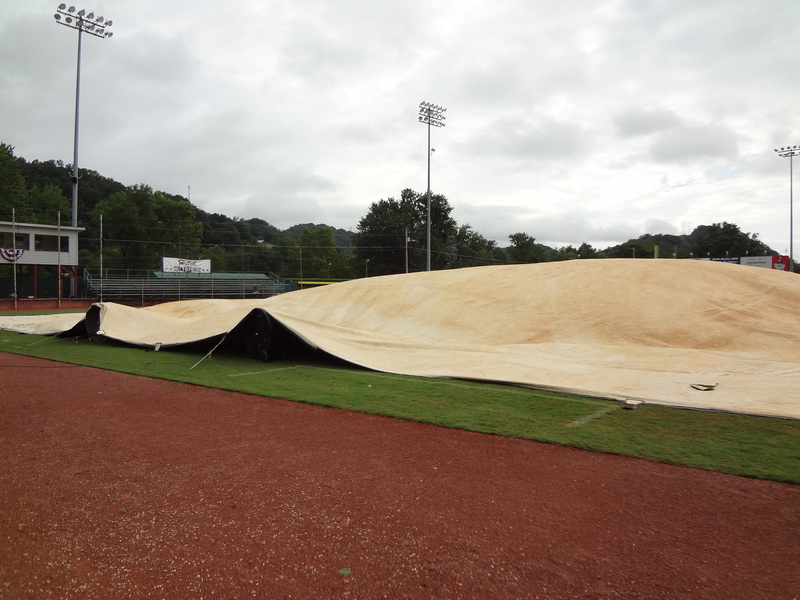 The fans blowing air under the tarp keeps the air circulating which limits damage to the grass when the tarp is down for long periods of time. The most useful thing we found is when heavy amounts of water forms on the tarp the fans will literally pick up the tarp which will form a bubble and then will force the water to the edges of the tarp which makes it much easier and quicker to push the water off and then remove. I’ve heard of this before but it has really worked for us especially with limited manpower. And that’ll be it from me, until it isn’t. Thanks for reading.